With more than 7,100 islands, it is no surprise the Philippine Islands are home to some of the world’s best attractions and beach destinations in the region. One of the popular places is Cebu; this is the nerve center which Visayas revolves around and is the heaviest populated island in the area. Upon arrival, visitors usually continue on to their final destination, which could be Cebu City or one of the nearby resorts or islands. With the white-sand beaches and spectacular diving, its no surprise Cebu attracts over a million international travelers a year. Bantayan is located off the northwestern coast of Cebu Philippines, between Madridejos & Santa Fe. In addition to the main island of Bantayan, there are numerous smaller islands including: Botong, Doonag, Sagasa and Yao. This group is known for its water-sports, beaches and snorkeling; if you plan to travel there, bring your swim gear. As for the accommodations, most of the resorts are in the Santa Fe area of the island along a beach or close to one. 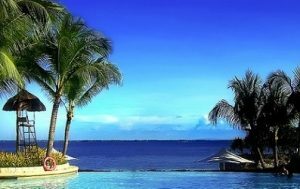 Some popular resorts include the Santa Fe Beach club, Marlin Bantayan and the Beach Placid Resort. With the exception of Holy Week, most of the time the resorts aren’t crowed. 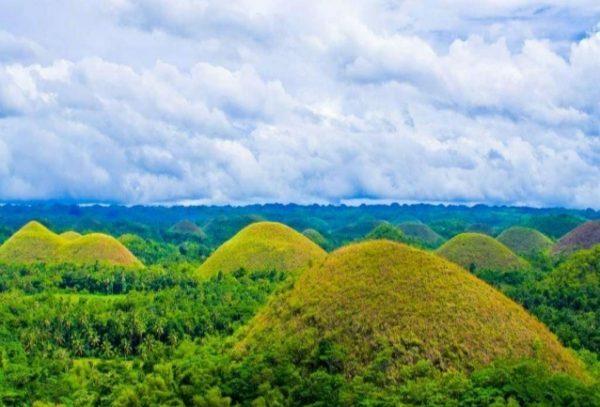 Although Bohol is not part of Cebu, it is a great place to spend part of your vacation. With activities such as bird watching, dolphin & whale watching and sailing you wont be disappointed with your visit. Just remember, the stretches of white sand beaches, diving-sites, waterfalls and the amazing Chocolate Hills awaits you. Mactan is an urbanized developed island located a few miles southeast of Cebu Philippines. Despite the development, there are some nice beaches and dive sites on the coastal areas. Popular hotels include the Moevenpick, Shangri-La and the luxury Imperial Palace Water Park & Spa. In addition, you can do some shopping or enjoy the nightlife. With the airport and Cebu city only minutes away, this destination could work for you. Known for its diverse marine life and the dive-site Monad Shoal, Malapascua is a popular travel destination. This Island is located north of mainland Cebu in the Visayan Sea. At only 1.6 miles long and six- tenths of a mile across, this is a tiny place. Malapascua is well-known for its dive sites and beautiful coral gardens. However, if you would rather relax on a beach or take a trip to one of the neighboring islands, that can be arranged. With all that Malapascua has to offer, this place will continue to grow in popularity. For the visitor who has the time and is feeling adventurous, consider a trip to Negros Oriental. Although this is not part of Cebu, it is nearby if you want to spend some time there. When visiting, you will find a rich diverse culture that is one of the best tourism experiences in Visayas. Popular attractions include beaches, dive-sites, caves, waterfalls and mountains. If you desire relaxation, there are places for relaxed leisure too. When looking for a great place to visit, the Camotes are another popular group to visit. This group of four islands is located a couple of hours east of Cebu Philippines. Popular beaches there include Santiago Bay & Bakhaw beach. 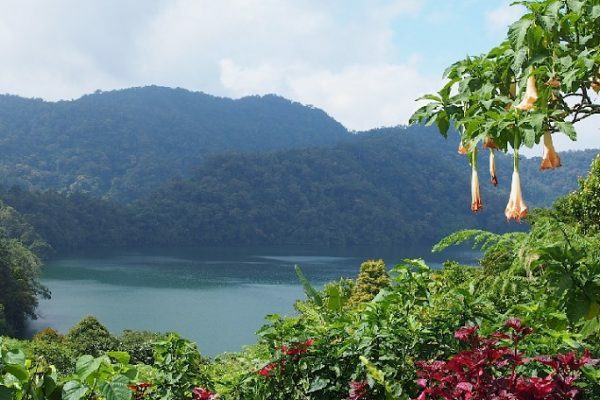 If you grow tired of hanging out on the beach, you could rent a motorcycle and explore an island of your choice; popular places to see include Poro Island’s Panganuron Falls or Pacijan Island’s Lake Danao. When looking for a place with beautiful beaches, a rich culture and interesting caves to explore you have just found it. Osmeña Peak – Is the highest point on Cebu and is a great way to enjoy the panoramic view of the surrounding area. This peak is 1000 meters tall and is in Mantalongon, Dalaguete in the southern Cebu province. Kawasan Falls – Is located southwest of Cebu City, three hours away via bus. This attraction is located in the mountains of Barangay Matutinao near the southern tip of Cebu Philippines. Visitors will enjoy nature’s beauty and the waterfalls. Nice article on Cebu Philippines… It’s difficult to find high quality writing like yours nowadays.